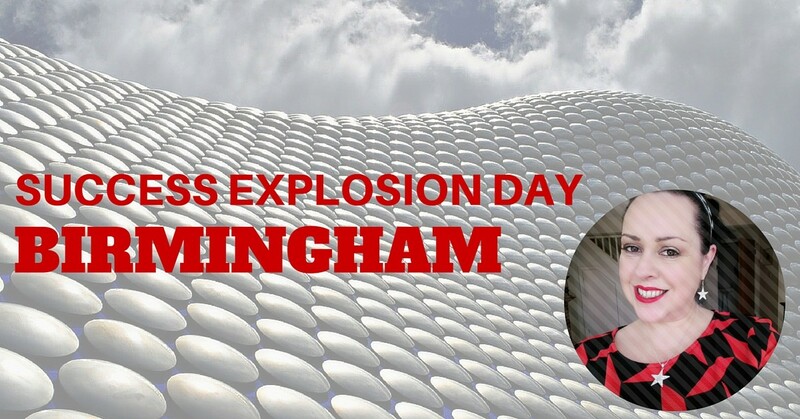 Then join me in BIRMINGHAM on my SUCCESS EXPLOSION DAY where we will get together for a life changing day! It will be just me and you working privately on exploding your success! I'm going to be in BIRMINGHAM from 3-9 May and I will be working privately with ONE action taking, rebellious women who wants MORE and who is ready to step up and create and RULE over her QUEENDOM! There's no more time to put your success on hold! Design your entire sales plan for the rest of 2016 and you will bring it to life right there and then on the day! Isn't it time you got paid for doing the work you LOVE?! Have you had enough of the slow lane to success? Doesn't it make sense to get help and get into the fast lane and get the results that you want? Are you tired of waiting for your time? Your success?! This is a business and life transformation day where you shed what's holding you back and you emerge stronger and faster and know EXACTLY what to do and when. You and me and don't forget your laptop. We will be in luxury surround whilst we get down to business whilst having a ton of fun creating the life you want doing what you love! And it doesn't end when the day ends…. 4 x 20 minute power coaching calls with me to keep you aligned and for whatever support you need! REMEMBER There is ONLY 1 PLACE AVAILABLE FOR this intimate 1:1 day with me in BIRMINGHAM between 3-9th May. This is the most intensive and personal way to work with me and I’ll be right by your side as you step into the life you are born to live, doing what you love, making money from your passions and OWNING your life, your future and your destiny. I’ll also be there for you AFTER our day together with our power calls so you can reach out to me anytime. Get in touch with me now if you are serious about igniting your success and let’s get it locked in. Don’t miss this opportunity. You can email me karenstrunks@gmail.com or PM me on Facebook.